I have a steam boiler with a 5gpm hot water coil. Two year old install. There is a mixing valve that looks suspiciously installed at least based on the install diagram for the L70A model. 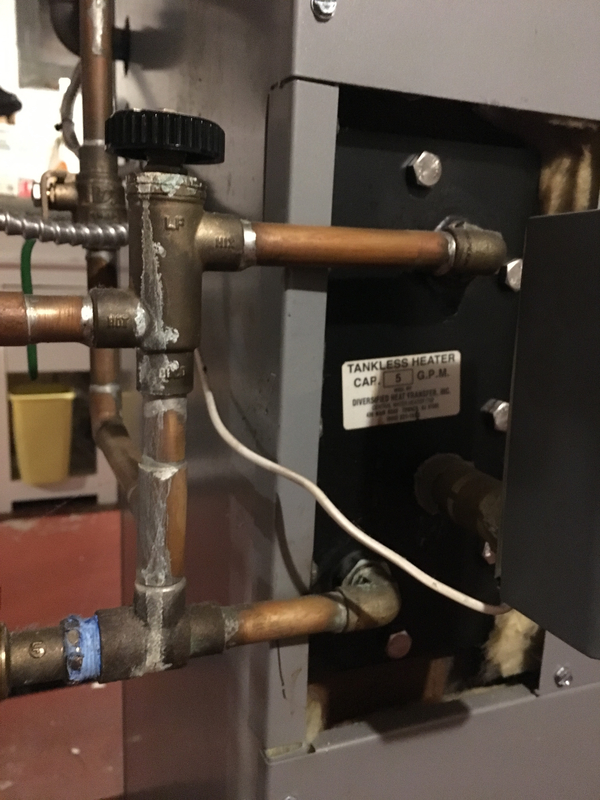 Can someone confirm if the mix port of the valve should indeed be directed into the coil instead of out to the house plumbing? Please see attached picture. So it is confirmed that this was piped incorrectly? As for how it works, actually it is worse. Unless the boiler is firing the water coming out of a faucet barely reaches above 100 degrees F. Makes for a cold shower. After about 5 or 10 minutes the boiler kicks in and only then will the water temp in the shower get not enough for a proper shower. And is there an alternative to using one of these valves? 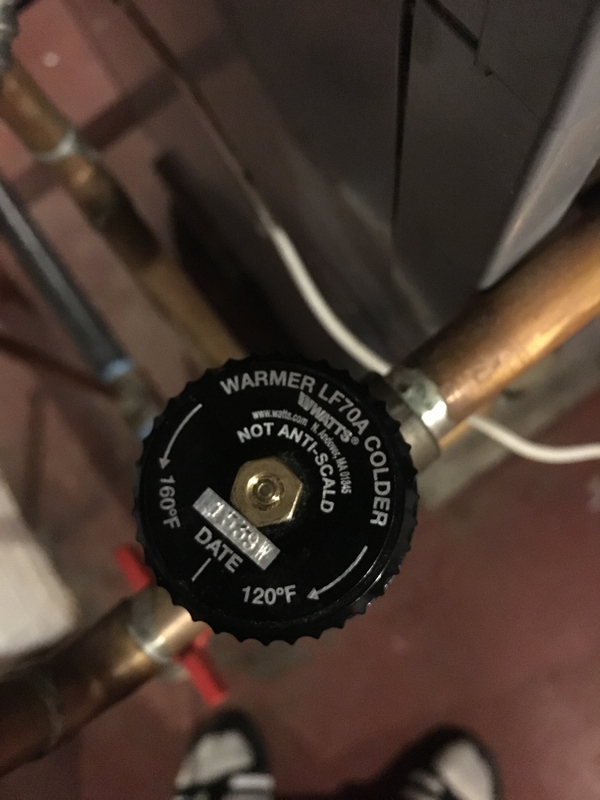 In my old boiler it was just a simple gate valve that was used to determine how much cold water to mix into the hot water line. A Caleffi, Honeywell, Taco or Watts asse 1017 listed valve would be better anyways. It is indeed piped wrong. And it is also too high. It would also need to be installed / trapped below the coil. What you should have there is a "thermostatic mixing valve" as described by @kcopp . Thank you all for your input. I simply cannot believe that it was installed incorrectly, especially with the outlets on the valve being clearly labeled. I just don't get it. The trouble is , is that valve is older technology and not very good to begin with. That thing in your picture is a "tempering valve". Never did they work well even when installed properly for this purpose. They were a source of customer repeated call backs for years. Those"thermostatic mixing valves" as @kcopp mentioned do what you want.They work great. Thanks. My service company is coming to fix. I will recommend to them the thermostatic mixing valves.